Planning: planning before 15 or 10 days of #shifting about how much is your budget, estimate expenditure for the shifting, how much labour you #need, and of what type like for electronics item you will need skilled labour's. For #transportation you will need track. What type of #packing material you will need for glass wares you need spongy kind of materials like bubble wrap, sponge and thermocol ball. Formation & Evaluating the plans : segregate your household goods into categories, put similar goods together, make a group ,now for delicate goods like glass set ,dinning set etc. decide in what type material you want for #packing them this kind of goods need extra care so you can choose bubble wrap. Thermocol balls, sponge etc. then you have to estimate how much quantity you want. For electronic item, for there uninstalling as well as for install ting you will need skilled person, which you can get from us Packers and Movers in Bangalore. Choose the best option: after estimation of #cost, material, labour, #transport, now you need to choose from the various plan you evaluated before, like for glass ware and dedicated goods you have chosen your material like sponge or thermocal or bubble wrap or the three of them together if you want to shift nearby not a long distance you can decrease the quantity of this support material by adding newspaper strips in place of them it’s a cheaper option. If you had thrown the boxes of your electronics you can buy them from a shop. But don’t try to pack them without outer cover & uninstall the electronic items by your own you will need assistance in that you can Contact the Packers and Movers Bangalore. For #transportation and labour ask from various contractors and drivers, don’t depend on the one it’s better for the back up and for saving money. For household goods like utensils, daily usable items, consumable items all this you have segregated before in a group, now saving utensil and daily usable item from scratch but some newspaper strips and newspaper rolls in a packaging box ,for consumable dry item firstly put them in a good plastic bag then put them in a #packaging box and for liquid ones pack them twice in a good plastic bag but not use a thin one or only by packing them once you can put them in a good container this option is more good but if you don’t have container’s at home and you don’t want to buy some then you can go for the first option. 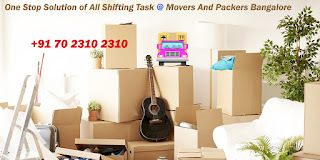 If you don’t have much time left and don’t want to undergo with the shifting process on your own, if you need any help and assistance you can Contact Packers and Movers Bangalore we are always there to help you. Indian Packers And Movers in Navi Mumbai, well-known packing and moving service provider. Indian Packers And Movers in Navi Mumbai deal Domestic, National and International Packers Movers services at economical rate. All the procedure of packing & unpacking, loading and unloading is done by our professionals. Indian Packers And Movers in Navi Mumbai, have extremely skilled professional experts to help our patrons with all their moving needs. They pack the goods with quality packing material and smash resistance material so the goods reach the final destination in safe and comprehensive way. So if you want to transfer your valued stuffs from Navi Mumbai, to any part of the India and outside India, Indian Packers And Movers in Navi Mumbai are always there for you with our services. Trans Packers and Movers being insured packers movers in Gavhan provide you the best moving services from Gavhan to different famous cities in country. Our name has become the most preferred one in Gavhan for the most trusted packers. Calls to our phones also make us happy to know that Trans Packers and Movers are the most preferred packers and movers from Gavhan. Just make a call to us in your next moving needs. Trans Packers and Movers have the right package for you. Much needed blog, for those who are looking for relocation services. I very thank full to Agarwal Packers and movers because Whenever I lived in Delhi, I had to shift Jaipur to Emergency in under 2 days. Then none of the Packers and Movers refuse to shift within 2 days. Then, in the end, Agarwal Packers and Movers helped me, they charge little more money, but thats okay, they shifted my households items in under 2 days.